Georgia's parliament on Wednesday voted in acting Finance Minister Mamuka Bakhtadze as the country's new premier and approved a "temporary" cabinet which he intends to reshuffle as part of liberal reforms. Lawmakers voted 99 to 6 to appoint Bakhtadze as prime minister, a week after his predecessor Giorgi Kvirikashvili stepped down amid mass protests that exposed a dramatic drop in his government's popularity. Addressing MPs ahead of the vote, the 36-year-old former business executive Bakhtadze said Georgia will pursue efforts to become a full member of the European Union and NATO. "We will be consistent on the path of full integration into the European Union," he said, adding that NATO membership was "a crucial task of Georgia's foreign policy and is vital for the country's security and stable development." Georgia's bid to forge closer ties with the West has long angered arch-foe Moscow with which Tbilisi fought and lost a brief but bloody war in 2008 over breakaway provinces Abkhazia and South Ossetia. 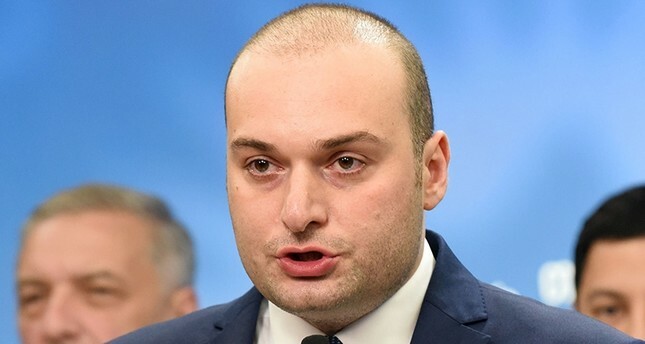 As part of his liberal reforms agenda, Bakhtadze promised to cut the number of ministries from the current 14 to 11, as well as proposing a fresh cabinet for parliamentary approval in roughly three weeks. "Small government will allow us to implement our ambitious reforms," Bakhtadze said. Last week, he promised "fundamental and innovative reforms, to create a new economic model that will affect every Georgian citizen." Kvirikashvili's resignation, after two-and-a-half years at the helm, came amid growing popular discontent over his government's handling of the economy and after mass protests in recent months. But analysts have said the internal power struggle within the ruling Georgian Dream party was the main reason for his demise. In a televised speech last Wednesday, Kvirikashvili said "a number of fundamental disagreements with the chairman of the (Georgian Dream) party," billionaire tycoon and former premier Bidzina Ivanishvili, led to his resignation. Georgia's richest man Ivanishvili stepped down as premier in 2013 after just a year in office but since then he has been widely believed to be the man in charge in the tiny Black Sea nation. He made a political comeback in May, assuming chairmanship of the Georgian Dream party. Georgian Dream came to power in 2012, ending a decade-long dominance of the pro-Western former president Mikheil Saakashvili's United National Movement. Prior to his appointment as finance minister in November 2017, Bakhtadze served as the CEO of the Georgian Railways state enterprise and the Director General of the Georgian International Energy Corporation.